Just like everyone else, you probably write letters or emails when communicating with your employer, your customers, and your colleagues or even to your friends. Your writing skills might be the reason why you were invited to an interview for a new job. It might also be why you were not invited! It is always recommended to have your work or formal letters proofread or edited by an expert before their delivery. Spell check programs might be a good start but a machine cannot really understand the complexity of a language. It does not take into account differences of contexts or formalities. It is also hard for those programs to see the difference between a formal text and an informal one. It does not know whether or not you are out of topic. Not to mention the homophones and homonyms mistakes, those are almost never corrected with a spell check. What you really need is a proofreading service. Send Us Your Document now! You might need our editing services for business, academic or personal reasons. Whatever the reason might be; our qualified team of editors and proofreaders will take care of your document. After your document will have been through our editing service, all the unintended attention mistakes you left will be removed. 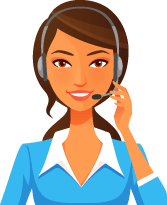 We know that you cannot jeopardize your professional and personal growth, which is why we only hired the best text doctors available to work at our custom editing service company! At Supreme-Essay.com, we made it simple. Just fill out the “Order now” form and submit your document. You will receive a confirmation for your custom editing service inquiry. An editor will be assigned to your document as soon as you proceed with your payment. The edited document will be sent back to you by the deadline that your will have given us. All our custom proofreading services are confidential. When you place an order online, you most of the time do not know what to expect. Some proofreading services will even use the same free spell check program you used before! At Supreme-Essay.com, we think that is unacceptable and we know you have reasons to feel concerned. Therefore, we offer a free editing service sample to all our first-time customers! When using a formatting service, you want your voice and your opinion to be kept in the process, but you also want the final product to be a well-written one. 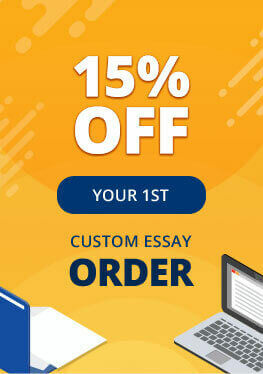 You might be an author who needs a book editing service; a student who needs an essay formatting service or even an annotated bibliography writing; a professional who needs the help of a writer or an editor; a magazine or webzine looking for an editor; or even a corporation looking for a long term partnership, Supreme-Essay.com online services are there for everyone! Supreme-Essay.com also offers a writing service for professionals and businesses. If you need any custom professional concept to be turned into a well-written text, you may place an order and we will do our best to provide you with exceptional content! All this at a really cheap price!